Though they didn't train here, Utahns still owe a debt to the 10th Mtn. Division. The congressman’s intentions were good. His fact-checking was not. Yes, the 10th Mountain Division (10th Mtn. Div.) trained in Colorado, but no, the ski troops never made it to the silver-mining town of Park City. “To my knowledge there were no formal training exercises in Utah,” said Dennis Hagen, an archivist with the 10th Mtn. Div. Resource Center in Denver. Bill Christensen agreed. He and a handful of other Utah ski-troop veterans were the ones to conceive of the idea of a memorial highway. They worked to get the necessary approvals and paid for the sign. It was more about memorializing the 10th Mtn. Div. than it was about Park City’s history, Christensen said. Christensen, 85, enlisted in the Army the day after he graduated from South High School in Salt Lake City. After completing basic training, he volunteered for the 10th Mtn. Div. To be considered, he had to provide letters of recommendation to the National Ski Patrol (NSP) attesting to his experience as a mountain climber or skier. Christensen’s letters described a Utah native who had been skiing at Alta for four years. As the NSP vetted volunteers, the Army scouted the Rockies for a suitable training base. It rejected the mining town of Aspen, Colo., choosing instead a valley near Pando. Called Camp Hale, the base had new, wood-frame barracks with coal stoves by the fall of 1942. The Army then asked Dole to fill two more regiments, to recruit 2,500 men in 60 days’ time. The NSP brought in 3,500. It was not difficult to recruit for the new unit. In newspapers and magazines, the 10th Mtn. Div. was depicted as a glamorous, elite force. The NSP eventually placed 11,000 men. That number included Olympic medalists as well as mule skinners to handle the 5,000 animals that were the “trucks” of mountain infantry. The NSP also helped the Army develop such innovative equipment as nylon climbing rope, pile clothing, laminated skis and down sleeping bags. By the time Christensen was accepted as a scout, the 10th Mtn. Div. had moved to Texas and was preparing to deploy to Europe. It arrived in Italy as the Battle of the Bulge raged in Germany. The 10th Mtn. Div. was assigned a battle position in the mountains north of Rome, where 23 German divisions were dug in to defend the Po Valley. Mount Belvedere was the keystone of the defense, and three American attacks on the mountain stronghold had failed. At midnight, Feb. 19, 1945, 3,000 soldiers from the 10th Mtn. Div. climbed icy cliffs to seize a ridge overlooking the mountain. The follow-on attack by two regiments dislodged the German defenders, but with 900 men killed or wounded, Mount Belvedere was a costly victory. More than 110 days later, the division having fought its way to Verona, the number of casualties reached 4,000, including 13 Utahns killed in action. The Germans surrendered May 2, and the 10th Mtn. Div. became an occupying force. In short order, they “liberated” German skis and made for the Dolomites for spring skiing. In June, they organized the first postwar international ski races at Grossglockner, Austria’s highest mountain. Christensen took sightseeing trips to Rome and Venice. The 10th Mtn. Div. returned to the U.S. in the fall and was deactivated Nov. 30. However, the end of the Army’s first and only alpine unit marked the beginning of the ski industry in the United States. Veterans of the 10th Mtn. Div. had a hand in the development of Crystal Mountain, Whiteface, Cranmore, Sugarbush, Vail and Wildcat. The grand opening of the Aspen Ski Resort in 1947 included an Army band and the colors of the 10th Mtn. Div. In Utah’s Cottonwood canyons, K Smith ran the ski school at Brighton; Monty Atwater pioneered avalanche research at Alta. Both served in the storied 10th Mtn. Div. In 1985, nine years after Dole’s death, the Army stationed a new infantry division at Fort Drum in New York. 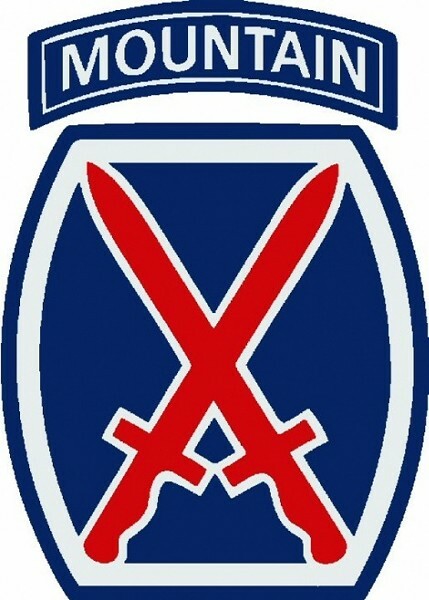 It was to be called to the 10th Infantry Division. However, pressure from the 10th Mtn. Div. Association caused the Army to revive the 10th Mtn. Div. name even though the new unit was technically light infantry, not mountain troops (with mules!). The division has since served in Iraq and Afghanistan. There is such a trove of information on the influential, one-of-a-kind 10th Mtn. Div., it is quite surprising that Cannon bungled it. Had I been his speechwriter, I would have borrowed Winston Churchill’s paean to the Royal Air Force after the Battle of Britain—“never was so much owed by so many to so few”—in talking about men like Dole and Christensen.